Luigi Mensah (21) has a good reason for starting the new year with a smile on his face and a bounce in his step. Not only will 2019 see him graduating with a degree in Financial Accounting, but also sporting the title of second runner-up in the prestigious Mr SA Campus Pageant 2018/19. 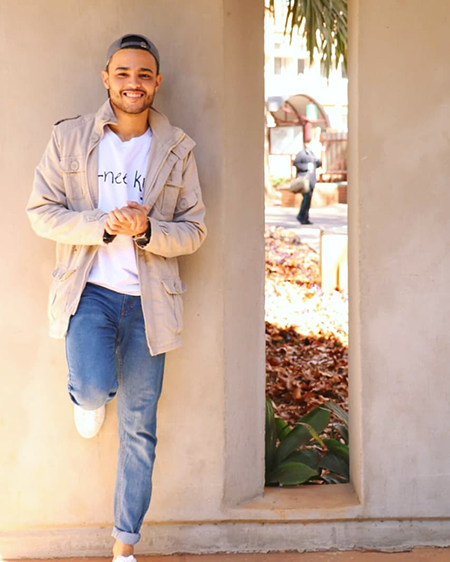 According to Luigi, who is currently pursuing a postgraduate degree at the North-West University’s (NWU’s) campus in Potchefstroom, he entered the pageant for the fun of the experience and did not expect to find himself in the winner’s circle. “I have made so many new friends from across the country and have been given an invaluable platform from where to make an impact,” says Luigi. As the campus’s reigning Mr Campus, Luigi is passionate about youth empowerment and believes in making a difference in the community. The biggest life lesson he wants to impart on young people is that they should stay true to themselves.